As an alternative to the use of clippers or scissors, Dog Nail Grinding South Elgin IL is a great way to keep your pet’s nails to a healthy length. 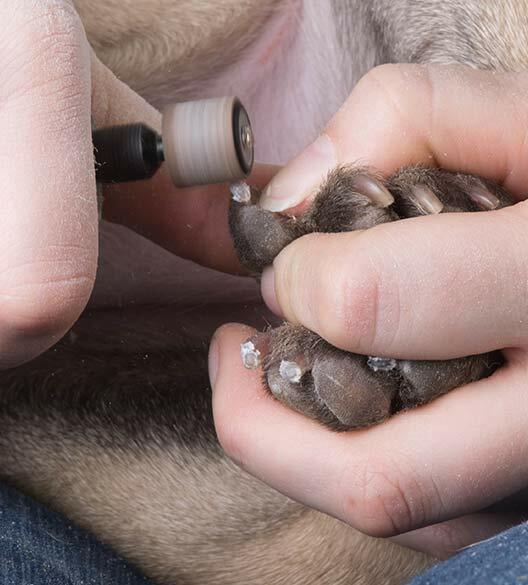 With an electric grinding instrument designed for just such a purpose, the WoofBeach Sands team of groomers can quickly and safely perform a nail trim without causing any stress or discomfort to your canine friend. 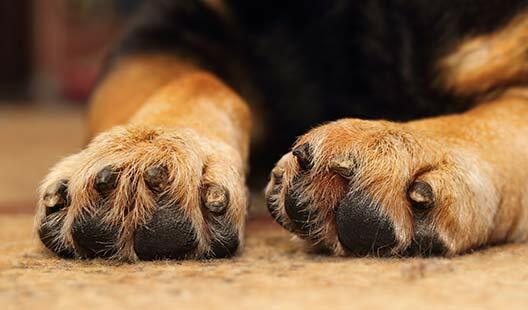 Animal experts generally recommend that your dog’s nails should be trimmed about once per month. 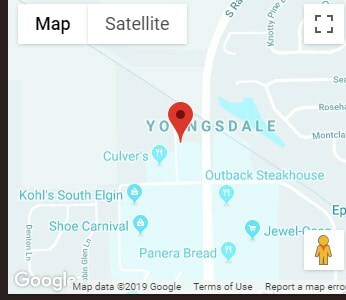 Dogs that routinely walk on hard surfaces such as asphalt or concrete usually tend to wear down their nail naturally and don’t require Dog Nail Grinding South Elgin IL quite as often. If you dog’s nails have not been trimmed in a while are pretty long, we suggest a trim every two or three weeks at first to help wear down the quicks. Particularly long nails should be trimmed just a little bit at a time rather than being cut short all at once. For some dogs who have never had Dog Nail Grinding South Elgin IL, the experience may not be to their liking at first because they are probably not used to having their feet handled. To get your dog accustomed to this procedure so their visit to WoofBeach Sands South Elgin IL is a positive experience, gently massage your pet’s feet for a few minutes every day. It won’t take long for your dog to get used to the sensation and it will help he or she relax while our groomers perform a nail trim. Dog Nail Grinding South Elgin is available at WoofBeach Sands as part of our walk-in services. Stop in with your dog anytime between 10 a.m. and 3 p.m. and no appointment is necessary. If you would like to schedule an appointment. Call our store at 847-243-6970 and request an appointment.